My daughters have been using Sakura pens and I ended up getting a set for myself. 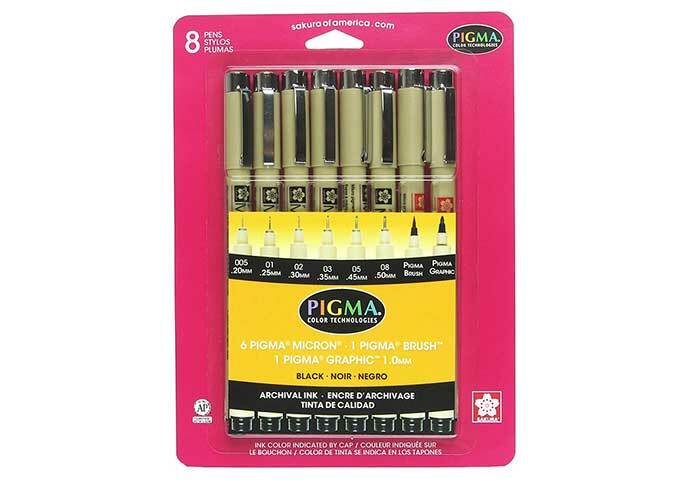 I just bought the 8-piece set on Amazon that includes a brush pen (so you can vary the line width) and a graphic pen (for thick lines). The ink is very black and doesn't smear when you erase pencil lines below it. And at $10 for the set, it's a good deal. I got this set of 7 fountain pens last year for my daughter, who is studying art in college. She’s been incorporating them into her work. The pens have a stainless steel nib and come in seven different ink colors. I just ordered set for myself.